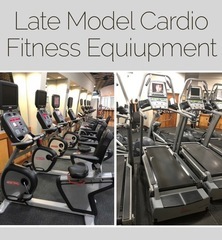 M21923 Late-model cardio and fitness center equipment in excess to this club’s continuing operations. AUCTION CLOSING DATE: Friday, Dec 7th, beginning at 11:07 am. Bidding closes on the first item at 11:07 am, then closes at the rate discussed in these Terms and Conditions of Sale.